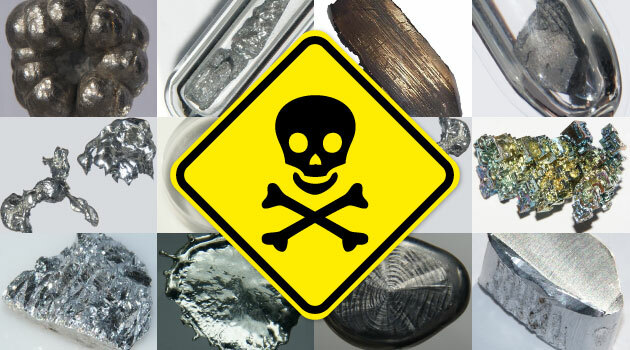 Toxic metals should be removed – gently and effectively, until retesting shows a negative finding. We have several techniques that we use for that purpose. A combination of these methods works best. The only normal is a negative test and if you test positive for metals you should be treated and retested until follow up tests are negative and remain so. A purification diet, increased cilantro and garlic intake, sweating and sauna therapies will support the naturopathic medical treatment of heavy metal exposure. These methods, while helpful, will not be adequate. Eating locally grown foods that are from outside of the contaminated area is also strongly recommended. How long does it take to eliminate accumulated metals? This varies greatly depending on the metals, the amounts accumulated, kidney and liver organ reserve and strength, and the response to treatment. It may be several weeks, months or more than a year. There is no way to determine total body burden – only that the metals are present and they should not be. The only normal is a negative test and if you test positive for metals you should be treated and retested until follow up tests are negative and remain so. In addition to accumulated metals there are ongoing routine environmental exposures which is why periodic purification programs are necessary for optimal health. If you are an established patient call or stop by today and get your urine heavy metal test. You do not need an appointment with the doctor to leave a sample but do please call ahead. If you are not an established patient call today to schedule a free complimentary consultation with one of our Naturopathic Physicians. Br Med Bull. 2003;68:167-82. Hazards of heavy metal contamination. Järup L1. Syst Biol Reprod Med. 2010 Apr;56(2):147-67. doi: 10.3109/19396360903582216. Adverse effects of low level heavy metal exposure on male reproductive function. Wirth JJ1, Mijal RS. Asian Pac J Cancer Prev. 2014;15(1):483-8. Association between urinary cadmium and all cause, all cancer and prostate cancer specific mortalities for men. Cheung MR1, Kang J, Ouyang D, Yeung V.
Dittmar F 1960 Viscerocutaneous and cutivisceral reflexes and their importance for physical and neurological medicine. Mechanism Study of One Kind of Antidotal Traditional Chinese Medicine on Excluding Poisonous Heavy Metals (Zhi Zhilian, Ziao Junlian, Lu Guodi and Chen Yude Shanghai Chinese Medical University) Abstract: A pH-potentiometric titration method was used to determine the acid dissociation constants of the antidotal traditional Chinese medicine at 39.5 + 0.1 °C and ionic strength I = 0.1. The stability constants of the complexes of this medicine with Pb2+, Cd2+, Hg2+ were also determined. Then the distribution of complexes of this antidotal Chinese medicine with Pb2+, Cd2+, Hg2+ at different pH were obtained. It was found that this medicine has a better effect for excluding the heavy metal ions in the human body than EDTA-Zn salt. Study of Effects of (Metal Flush) on Curing Lead Poisoning in Children and on Children’s Blood Trace Elements. (Tan Mei-zhen, He Yan-ling, Zeng Chao-yi, Chen Yong-chong Guangzhou Children’s Hospital, Sun Yat-san Medical University) Abstract: The content of Zn, Cu, Fe, Ca, and Mn in the blood of 68 children (ages 3-12) with Pb poisoning was determined before and after treatment. The results showed that the content of Pb was significantly lowered after the children were cured (P < 0.01). The content of Zn increased (P < 0.01), while the content of Fe, Cu, Ca, Mn remained stable (P < 0.05). It also proved that Traditional Chinese Medicine was effective in curing children with Pb poisoning, which would not cause trace elements imbalance.